Cool wind rushes past my face as I look out over a field of 7-Eleven Slurpee-blue icebergs. I am very, very far south, navigating through a terrain of floating and cracking ice. 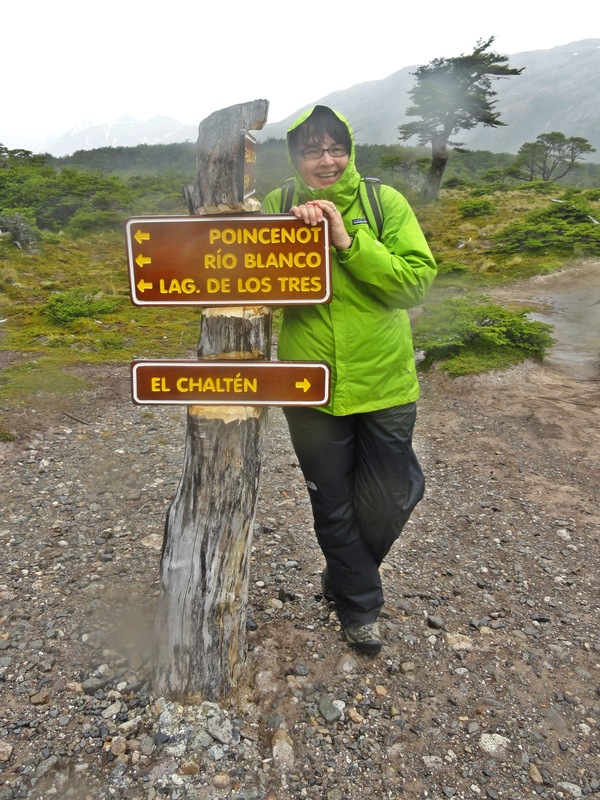 Glacier National Park in Santa Cruz, Argentina is full of… you guessed it, glaciers. 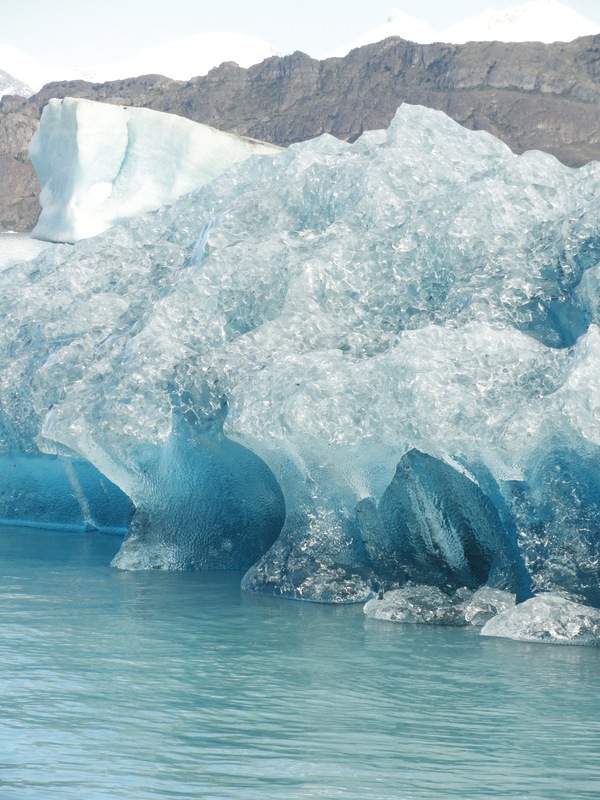 Big glaciers, hanging glaciers, chunks-falling-off-it-glaciers; they are all here. The most famous is Perrito Moreno, the world’s only glacier that is actually growing, bucking the global trend of shrinking ice caps. 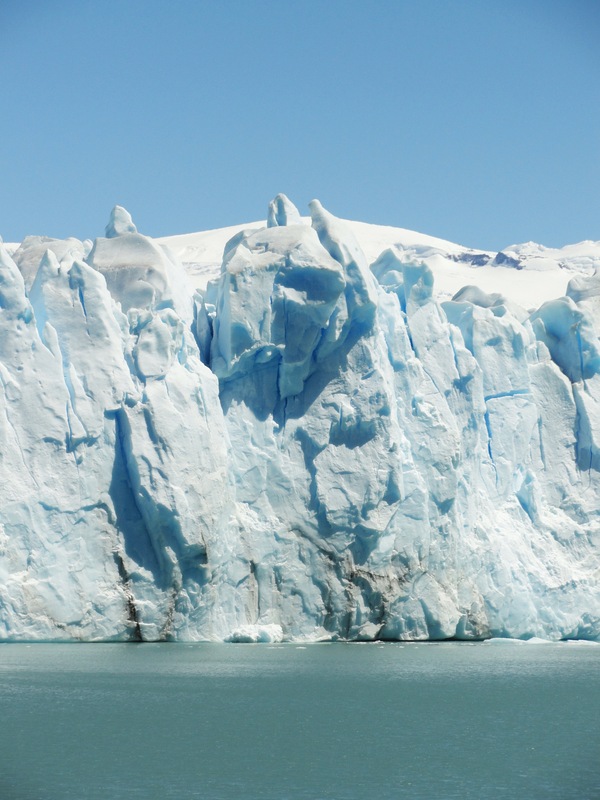 While Perrito Moreno is easily accessible to the public, the rest of the glaciers are not and the only way to see them by boat. 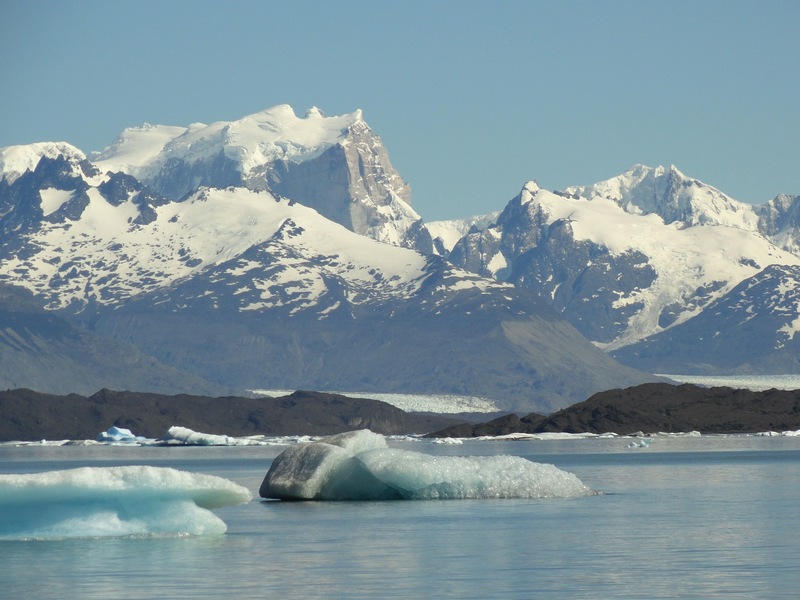 Now, don’t get me wrong, I like boats, I like mountains and I like glaciers. 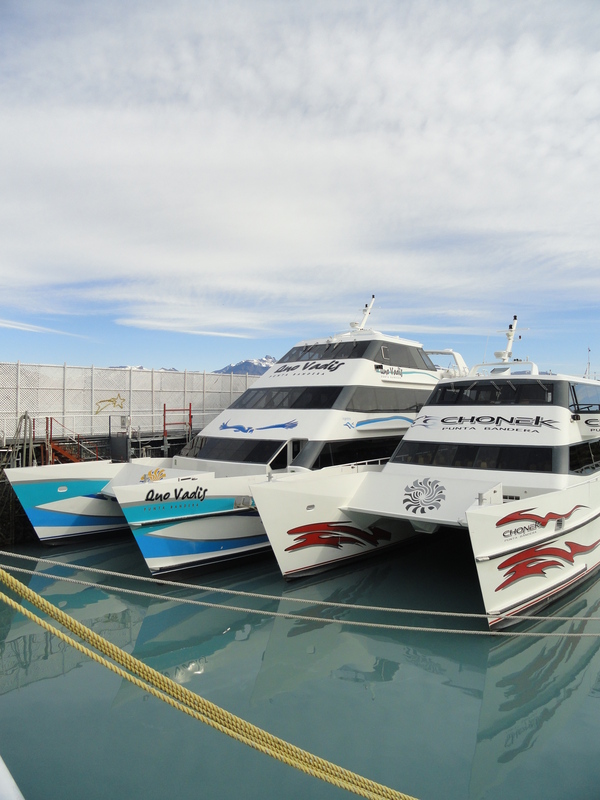 But a glacier boat tour is not the top thing on my list of things to do in Argentina. Because there is no adventure in sitting around looking at glaciers and then dozing off in your seat for an afternoon nap. 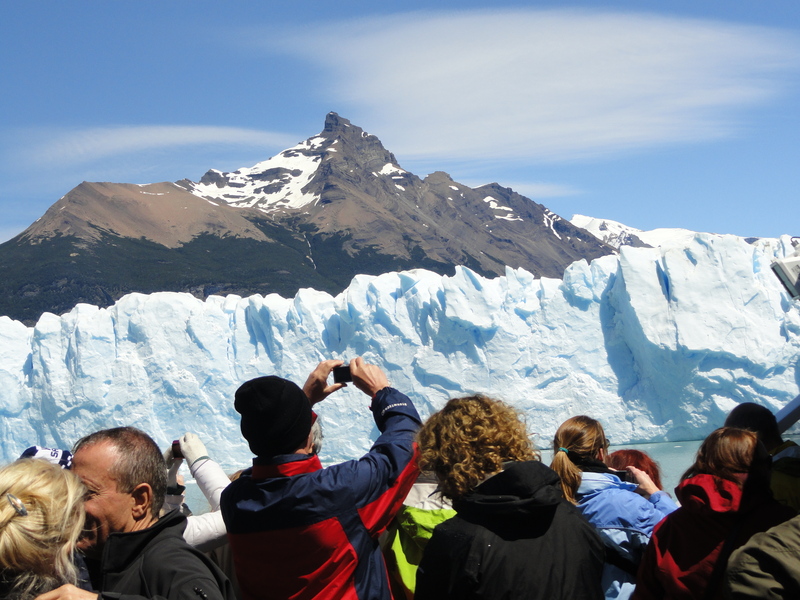 However, it really is the only way to see all of the glaciers in the park including the over 400-foot high Spegazzini glacier and the tongue shaped Viedma glacier. Therefore I’m on a boat. But I am not alone. But the glaciers, sunshine and fascinating people watching (so these are the type of people that take glacier tours) make for an incredibly enjoyable day. Plus the tour is full of fun facts that you can use at your next trivia night. For example: What gives icebergs their color? Answer: Variety of factors, most importantly the density of the ice and the air bubbles. 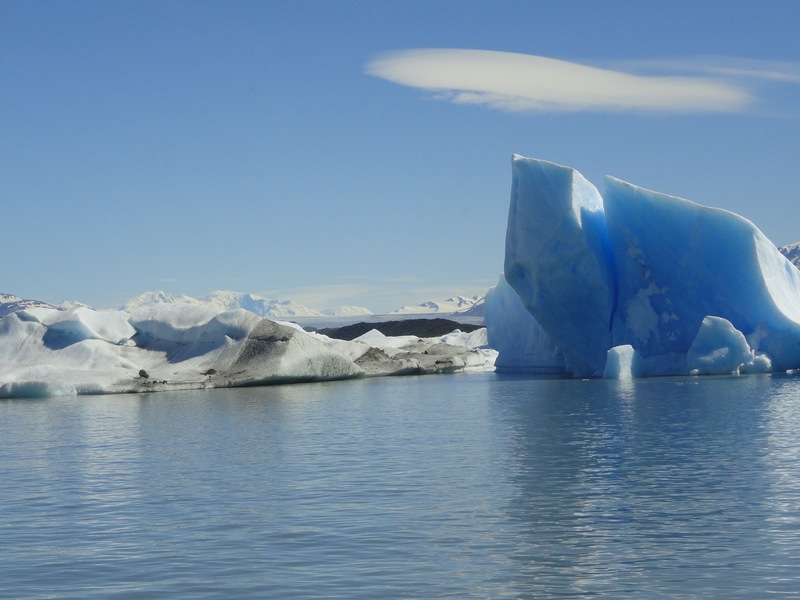 Blue icebergs tend to be older and have a higher density (less air bubbles). 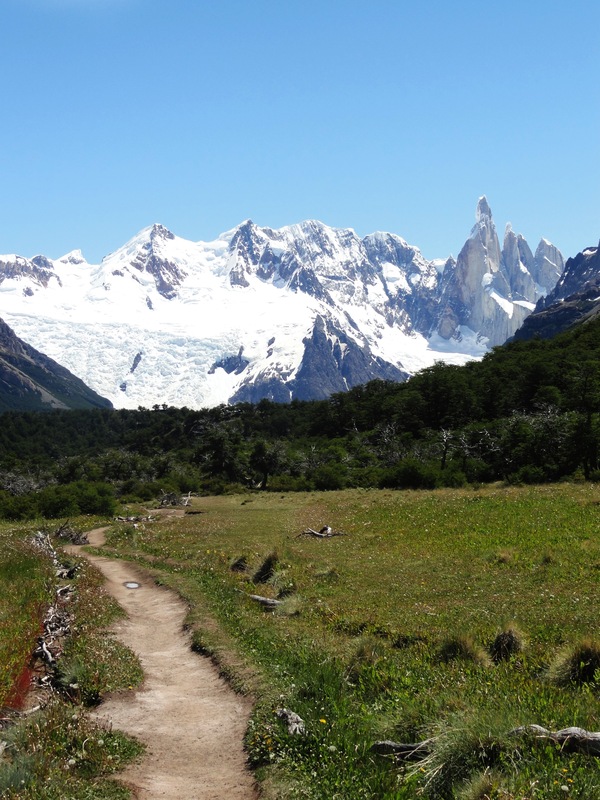 El Chaltén is the Patagonian version of hiking heaven. Once you get there, it’s pretty easy to see why. There are day hikes, viewpoints, glacier treks, ice-climbing, challenging multi-day alpine hikes and walk-for-hours-in-the-rain hikes. Except for the glacier treks and ice-climbing, no guides are needed as all trails are very accessible from town and clearly marked. This terrain is as wild as it looks and the weather can change rapidly. Winds can reach 40-60 km and rainstorms can suddenly blow down the valley as it did on our hike to the Fitz Roy from Hostel Pilar. 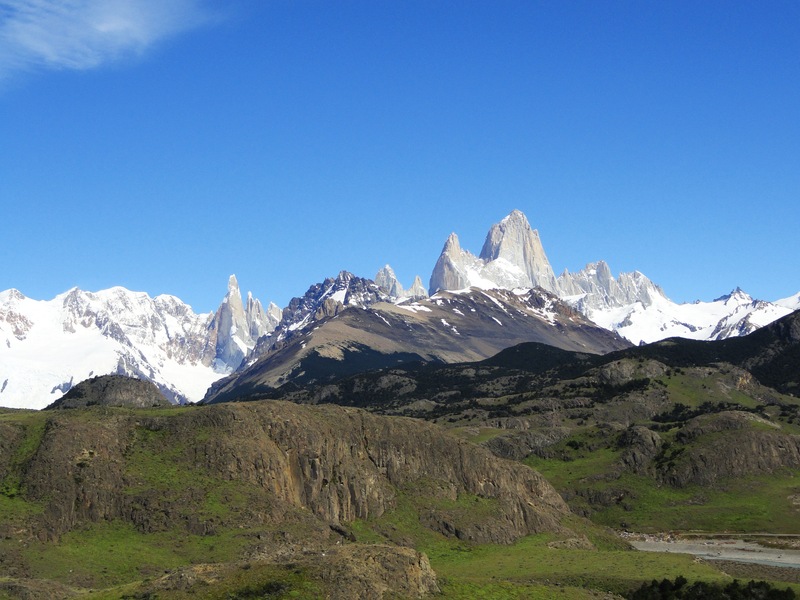 But when the sun comes out El Chaltén is one of my favorite places in the world. Is it worth a trip? Most definitely. 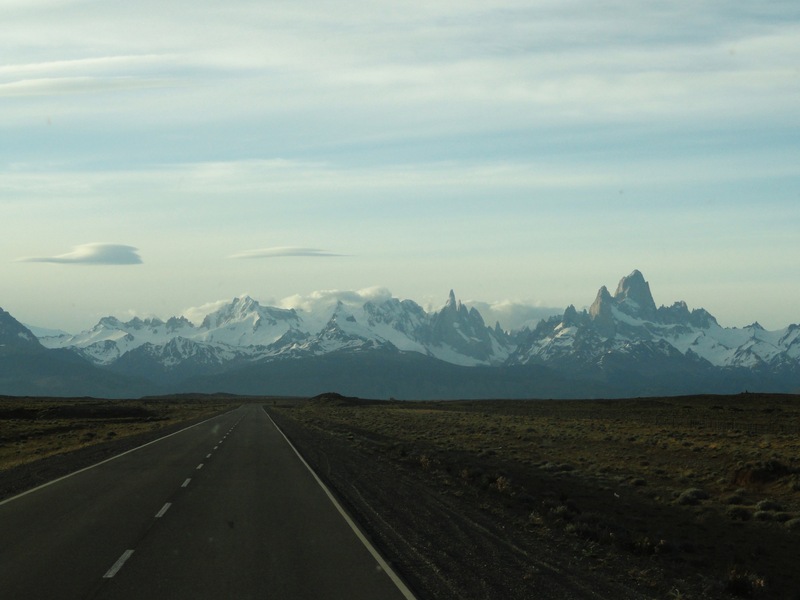 How to Get There: Take a 2.5 hour bus ride from El Calafate. There are 3 daily bus services in the morning, mid-day and early evening. Buses runs only in the summer from November to March and will cost you about 90 pesos (about $20) one way. And I have over 500 photos to prove it. It was a wonderful week of refined dining, mountains, glaciers and of course, Mom’s new found passion, birds. 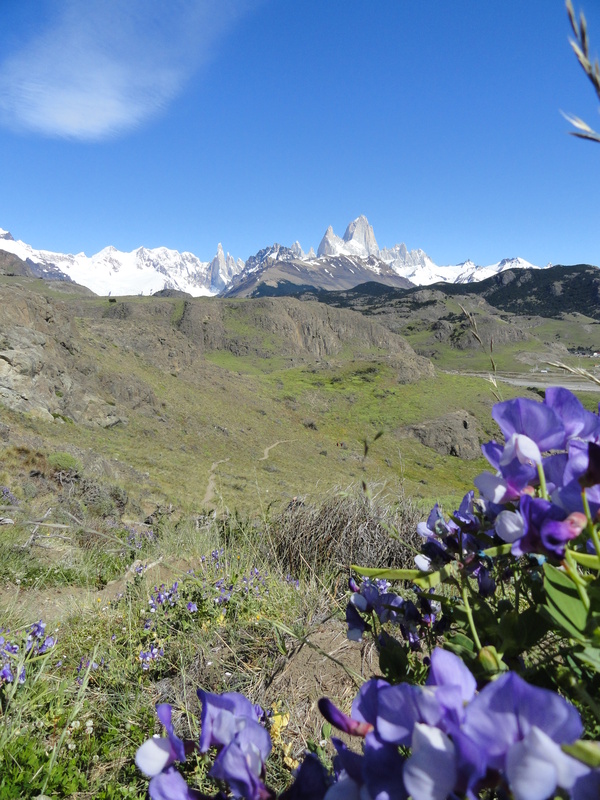 There will be lots of photos and posts to follow soon but for now, I leave you with the view from El Chalten looking over the Fitz Roy and Cerro Torre mountains.